Okay I promise that this is my last blog post with photos from Vancouver, but I was really keen to share this one. 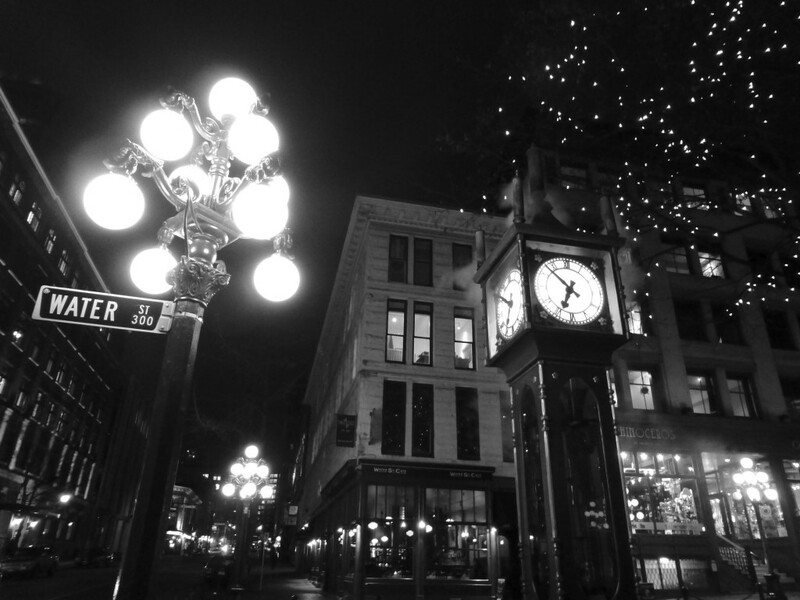 This photo shows the steam clock in the Gastown area of Downtown Vancouver. Apparently it is the most photographed view in Vancouver so here’s my addition to the collection! The odd thing is this steam clock, which looks Victorian, is actually only 35 years old and runs on electricity not steam. Ah well, it still looks good in a photo! I like the array of lights against the dark, night sky.